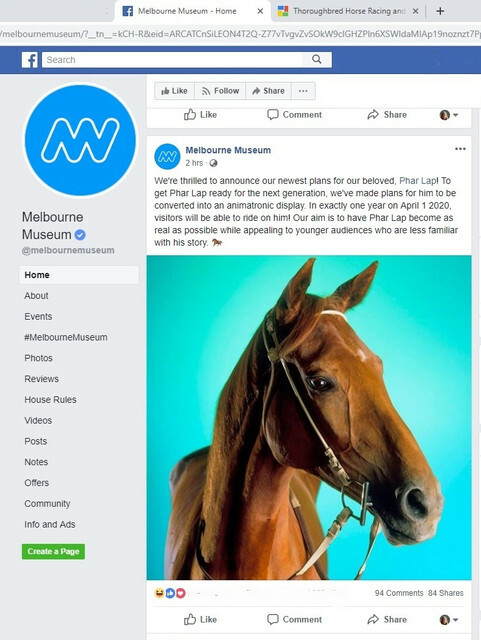 Melbourne Museum post on their Facebook page today! Is this for real ? It is April 1 st after all . On this day in 1932 Phar Lap died in California.